There’s this thing in the “adoption community” called the ‘triad’. We call it this because there are three main segments of adoption, three main roles: adopted people, adoptive parents, and birth parents. Ten percent of all adults in the US fall into one of those categories and thus, are part of the adoption triad. I’m in that ten percent…twice. While you probably didn’t already know that statistic, you probably still know someone who is part of it. Sixty percent of US adults do, according to a study published by the Donaldson Institute for Adoption, though I have never personally found this to be the case. I’ve never met a person who didn’t know someone who was involved with adoption (besides me) – I’m pretty sure there’s always a “well, my cousin John dated a girl once whose little sister was adopted” story for each of us. We all know that adoption is a thing, though I’d venture a guess that most of us don’t grasp the full weight of it. The uniqueness, tragedy, or permanence of it. Every member of the triad tells a completely different story. My siblings and I have vastly different stories. The story of my biological mother is night-and-day-different from my story of being a birthmother. I’ve never met an adoptee nor a birthmother with the same story as me. Adoption is the foundation of my family and of my story. My biological father, Richard, was born in 1965. His biological father died when he was very young. My grandmother remarried, and though her husband never legally adopted her two sons, he raised them as his own without batting an eye. He became their father in every sense of the word, and while I’ve never interviewed those sons about this, my understanding is that they both see him as their “real” father, despite knowing there is no biological tie. Richard would go on to marry a woman named Lorrie who already had a daughter, Crystal (born in 1983). They had two more children together, me in January of 1988, and my brother, David, in December of 1988. Within a few years, all three of us had moved in with a relative: my sister went to our mother’s aunt and uncle, and my brother and I found our way to our father’s parents. I’m not sure exactly when Crystal was legally adopted by our great aunt and uncle, but my grandparents retained the same attorney they used and finalized our adoption in May of 1995 (I was 7). My grandparents became my parents long before the legalities were complete. I was old enough to understand the situation and be given a “choice”, though I’m sure the adoption was going to happen regardless of what I wanted because it was the safest and absolute best answer to the situation we were in. It just so happened that I loved them and being with them, and I totally agreed and wanted to be adopted. I felt safe with them. My brother was less accepting of the situation. He hadn’t been cognizant as long as I had while we were living with our biological mother, and didn’t have the fears, responsibilities, or night terrors I carried with me for years as the result of those first few years of neglect and abuse. Ultimately to his detriment, I think, he was the baby and had been favored and naturally babied by her, so his connection to her was stronger than mine. I have a vivid memory (something I don’t have many of) of my toddler brother running around our grandparents’ dining room table, crying and yelling that he wanted to “go back with mommy”. It was an awful experience…little bitty me trying to offer comfort and explain how much better life was going to be with Grandma and Papa to an even little bittier Bubby. He eventually accepted it and we all lived happily ever after. No, just kidding. We are still here, and we’re doing okay. But those are stories for other times. My story is a story of how attachment, behavioral, and personality disorders are born; of how anxiety and depression are bred; of how trust and commitment issues are created. My story, the story I know best and most intimately, is a story of making the most of a life sprinkled with these traits, these setbacks, these problems. My story is one of adoption. Are you part of the adoption triad, or are you curious about what it means? Post in the comments – let’s begin removing the taboo surrounding adoption! 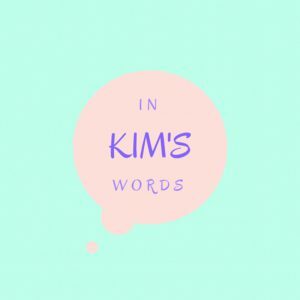 Subscribe to In Kim’s Words so you’ll know when new adoption posts are published!